This year, Mt. Ashland Season Pass holders can visit our fellow STOKE certified ski area, Diamond Peak for free! Each season pass holder will receive four day passes to Diamond Peak this season. You must present your season pass at the ticket window to receive your complimentary ticket. 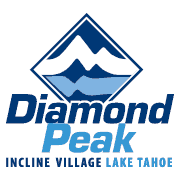 Blackout dates at Diamond Peak for this offer include: Dec. 22, 2018 – Jan. 6, 2019; Jan. 19-21, 2019; Feb. 15-24, 2019. Mt. Ashland Season Pass holders can ski and ride these other ski areas at a special discounted rate. You must have your Pass with you to receive the discounted rate.